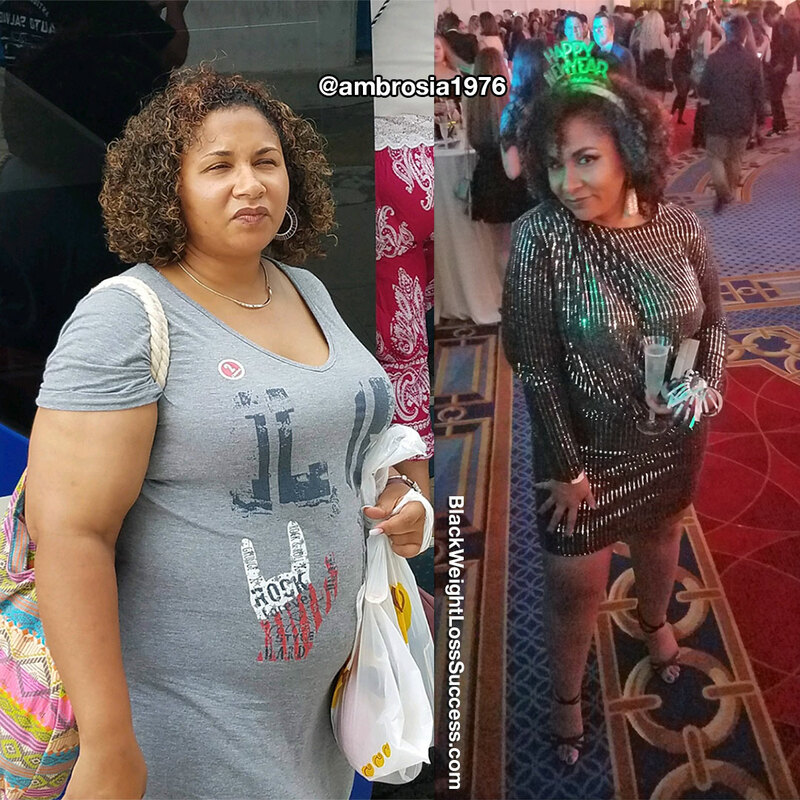 Transformation of the Day: Tara lost 44 pounds. She found her motivation when her mother was diagnosed with cancer. Getting engaged, working with a nutritionist and having a very supportive fiancé also kept her motivated. Check out how she took action to change her life. I was very depressed and hurting all the time. I had knee issues, ankle issues. I could barely climb one flight of stairs without getting extremely winded, although I was only in my early 40s. I also did not like the way I looked in the mirror and the fact that I had to continually buy larger clothes (my largest size was a 22W). Although I have been trying to lose weight off and on for literally decades, the turning point was when my mother was diagnosed with cancer. High blood pressure and cancer run in my family. I know that obesity is a huge contributing factor to both conditions. So, I started actively seeking to lose weight again once she was diagnosed. 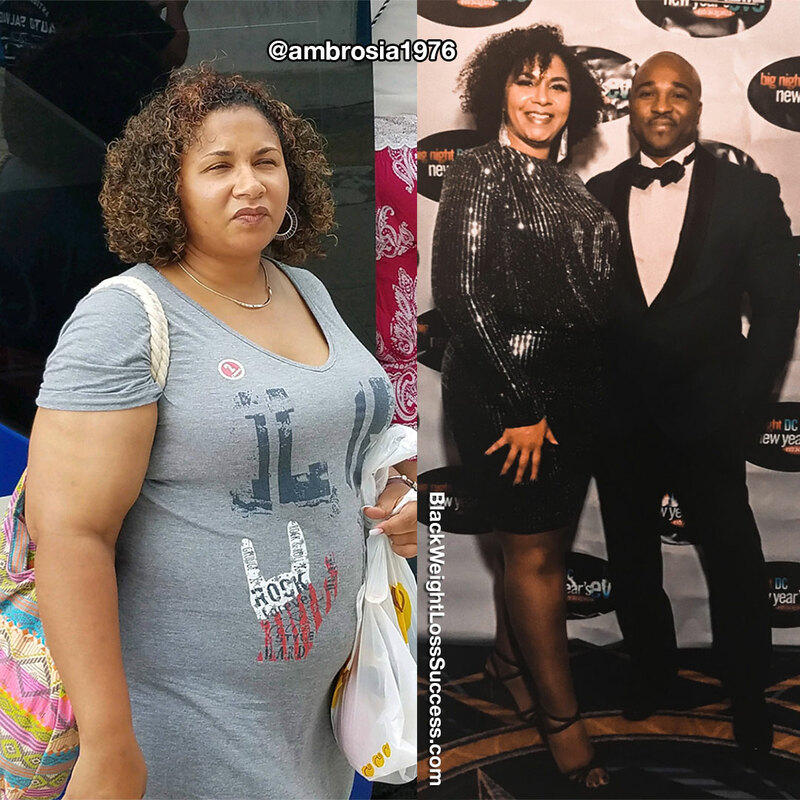 Although I had a minor setback when she passed away in December 2017, I have been consistently losing pounds ever since. I received extra motivation when I was surprised with an engagement ring in May 2018. That just added fuel to the weight loss fire I already had burning. Even before he asked me to marry him, my fiancé is and has been incredibly supportive. He is my workout partner. It’s very imperative to have a strong support system, and that’s what he is for me. I always call him my “personal trainer.” When I want to give up, I think of my mother and my fiancé and how I do not want to let either one of them down. I have tried calorie counting, Weight Watchers, intermittent fasting, and Atkins to lose weight and had varied success with each program. Atkins worked the best for me until I hit a plateau after losing 25 pounds. At that point, I consulted a professional nutritionist locally to get advice. The nutritionist altered my Atkins lifestyle to a low carb, moderate fat, high protein plan where I still have to keep track of my calories. I eat no more than 1800 calories a day with lots of protein. I get slightly more carbs (50 grams) than on Atkins. My fat is limited because lean protein is emphasized and fatty meats, such as bacon, are not suggested. Most of my fat comes from healthy sources, like olive oil. My current plan also cut out all dairy, all gluten, diet sodas, and all added sugars. The only sweetener I currently use is stevia in coffee or tea. I also limited alcohol; beer and wine are now a no-no. When I drink, which is rarely, I drink tequila preferably; neat or on the rocks as it limits carbs and calories. Lean meats and vegetables are the bulk of my diet, accompanied by at least 96 ounces of water per day. My changed eating habits have really improved my mood immensely, and I believe cutting out dairy is the key. I have never felt so energetic and joyful! I make sure I get in at least 30 minutes of activity a day, sometimes I take a break on Sundays. That consists of a brisk walk at the least, but I also alternate weight training in my community gym and jogging up and down flights of stairs Rocky style! Anything I do is done for 30-45 minutes. I do the walks if I cannot get a more organized workout in. My starting weight was 263 pounds. I suspect I was heavier at one point, but I was scared to get on the scale then. My current weight is 219 pounds. My goal weight is between 185 – 175, depending on how I look and what a size 10 is for me now. My height is 5’7″. Consistency and patience are key. The pounds will come off, and usually not as fast as you would like. I honestly thought I would reach my overall goal within a year, but being at the halfway point is one of my proudest accomplishments ever. I have never kept off this amount of weight successfully, and it is even more motivation for me to keep on pushing to my ultimate goal. Be consistent, be patient, and don’t beat yourself up. You most likely will have a slip-up. Do not let that give you an excuse to slip back into old habits completely. If you slip up and eat a piece of cake, do not say, “Forget it. The whole day is ruined.” Get right back on track that very moment. If the program you choose to follow allows it, plan a cheat meal every now and then so you do not feel deprived. After that cheat meal, it’s back to business. Also, avoid binge triggers even if you do have cheat meals. There are certain foods I just cannot have around because I know I will overindulge. Last but not least, ask yourself, “Is this treat worth it?” before you put it in your mouth. Usually, the answer will be no if you are honest with yourself.